As one travels around the Internet, there are a great many websites which purport to be Christian which exalt a man who has been dead for about eight years: Yitzhak Kaduri. Who was Yitzhak Kaduri? Even Wikipedia can’t put enough lipstick on this pig to obscure the truth–though they try. Yitzchak Kaduri (Hebrew: יצחק כדורי, Arabic: اسحق قدوري‎), also spelled Kadouri, Kadourie, Kedourie; “Yitzhak” also spelled Yitzhak (died January 28, 2006), was a renowned Mizrahi Haredirabbi and kabbalist who devoted his life to Torah study and prayer on behalf of the Jewish people. He taught and practiced the kavanot of the Rashash. His blessings and amulets were also widely sought to cure people of illnesses and infertility. In his life, he published no religious articles or books. At the time of his death, estimates of his age ranged from 103 to 118, and his birth year is still disputed. From End Times Prophecy Headlines: March 28, 2014. Yitzhak Kaduri, who was Israel’s leading rabbi of the Kabbalah (Jewish esoteric magic and witchcraft) was a person who gave prophecies and dispensed magic. Kaduri famously made a lot of money through the sale of his magic amulets, which were supposedly helpful to those looking for divine protection, fertility, health and wealth. So Yitzhak Kaduri was like the Benny Hinn of Israel–only perhaps worse, because Hinn, to this writer’s knowledge has never openly espoused the Kabbalah. Several things are interesting about this Kaduri prophecy. 1- Kaduri spent most of his life pursuing power from the enemies of God. Might that suggest the source of this prophecy? 2- There is no record of Kaduri ever repenting and turning to Jesus. His ‘prophecies’ spoke of a “coming Messiah” and a “coming Christ.” Before Christians see Jesus’ Second Coming, one suspects they’ll get a good look at Kaduri’s ‘Messiah’ first. For a practitioner of black magic, Yitzhak Kaduri got around. A photo on Wikipedia shows Kaduri in a photo taken by Israel’s Government Press Office around 1997. A meeting between Prime Minister Benjamin Netanyahu and Rabbi Yitzhak Kaduri is held at the prime minister’s Jerusalem office in honor of the New Year. פגישת ראש הממשלה בנימין נתניהו עם המקובל הרב כדורי, בלשכתו בירושלים, לרגל ראש השנה. Photo by Ohayon Avi, GPO. This photo has been picked up many places that do pieces on Yitzhak Kaduri. None of the photos reveal who else was in the picture with Kaduri the day it was taken. The photo info tells us that Benjamin Netanyahu has been conveniently cropped out of the photo. Can’t imagine why the Prime Minister of Israel wouldn’t want his official photo with the country’s leading esoteric/occult rabbi circulating in the rest of the world? Maybe they were talking shop? But then this all begins to enter the realm of speculation. Kabbalah, also spelled Kaballah, Qabalah, or Cabalah, developed between the 6th and 13th centuries among the Jews in Babylonia, Italy, Provence, and Spain. The word “Kabbalah” means “to receive” and refers to revelation from God received by Jews and passed to succeeding generations through oral tradition. The word was first used by mainstream Judaism but later came to refer to those who believed that only a select few were given the secret knowledge from God as to the “true” meaning of Scriptures. Kabbalah uses occult practices and is considered to be a cult. Rock celebrity Madonna is perhaps the best-known adherent of kabbalah. Only if the scriptures taught how to contact demons, receive protection from the “evil eye;” taught that one can be protected from curses and black magic by obtaining magic amulets; and taught that by purchasing and wearing a talisman, one may achieve “good luck “. Even five minutes of research is enough to convince most that there is nothing in common with the Bible and the kabbalah. In fact, almost all of the rituals, knowledge and practices in the Kabbalah are condemned by God specifically in Deuteronomy 18:9-12. The New Age is basically a prettied-up kabbalah, where the black magic has been moved out of sight. MAN OF SIN: Worldwide, they are preparing for the man of sin. The man of sin will arise from the midst of the apostate church. So what does all of this have to do with Christians in 2014? About 500 years ago, the leading Kaballists turned their attentions toward a coming Jewish Messiah. In the 1500s the community of Safed in the Galilee became the centre of Jewish mystical, exegetical, legal and liturgical developments. The Safed mystics responded to the Spanish expulsion by turning Kabbalistic doctrine and practice towards a messianic focus. Jesus warned of this coming imposter in John 5:43. Coincidentally, in the mythology of the Matrix franchise, The One was also their messiah. The kabalists are working–along with all sorts of others–to usher in the coming of their false messiah, the world leader, who they believe will bring an age of peace and safety. Jesus spoke twice of the “synagogue of Satan” in Revelation 2:9 and 3:9. There is no concord between the Bible and kabbalah. 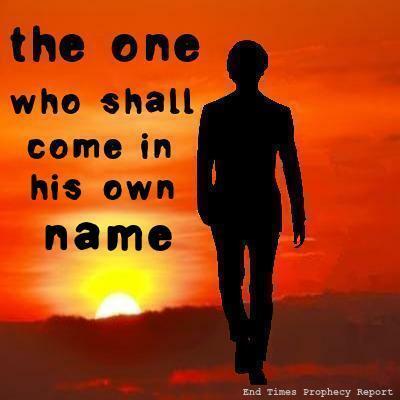 Those who adhere to kabbalah turn their backs on the Living God and His anointed, Jesus Christ. They are certainly of the synagogue of Satan. Those who give credence to the kabbalah are deceived or deceiving. Is return of Jesus suddenly imminent? Very interesting and important – thank you! I’ve seen short videos of Kaduri speaking with Netanyahu (when Netanyahu was a young men) and receiving praise from men. This was a great comment! I searched for videos of Netanyahu and Kaduri. I’m still looking. This is a good area to study. Thank you! Yes, that is the video. It is of Rabbi Menachem Mendel Schneerson. Schneerson was publicly consulted by the last seven or eight Prime Ministers of the secular state of Israel, Netanyahu is only the latest. Although Schneerson’s consultations with Netanyahu went back to the time of Netanyahu’s service as Israel’s ambassador to the UN, almost 30 years ago. It begs the question as to why so many in the top echelons of power in Israel consulted a member in good standing of the synagogue of Satan. Yes, that was the video I was referring to. Very sad to read that you call a rabbi as great as kaduri a pig? The expression “putting a lipstick on a pig” is a well-known figure of speech referring to trying to cover up the flaws of a subject. But thank you for pointing it out, all readers may not be familiar with that Americanism. Kaduri was not a pig. He was deceived. Odd you don’t address the many other facets of the article. So much hatred for the Jews and our scriptures why? Of course, you confuse the synagogue of Satan with Jews. There are no Jews in the synagogue of Satan. Of course Jesus was a Jew. He also warned of the synagogue of Satan. As usual, “not approving” is confused with “hatred.” There is no hatred for the synagogue of Satan. Only prayers they will repent before it is too late for them. It is almost the synagogue’s time.